Do you want to add a touch of glamour and ethnicity to your ordinary diyas? 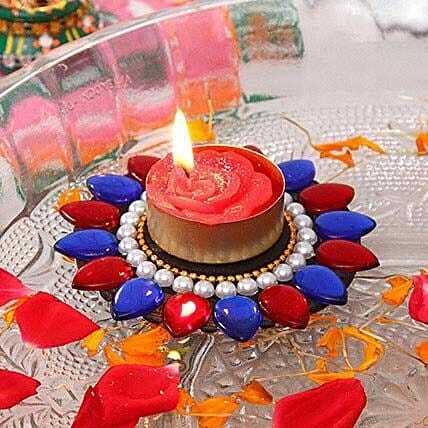 Order this designer floating diya online from our gifting store and give a new meaning to your Diwali decoration. This lovely pearl and Kundan work diya is set to capture the instant attention of your dear ones.